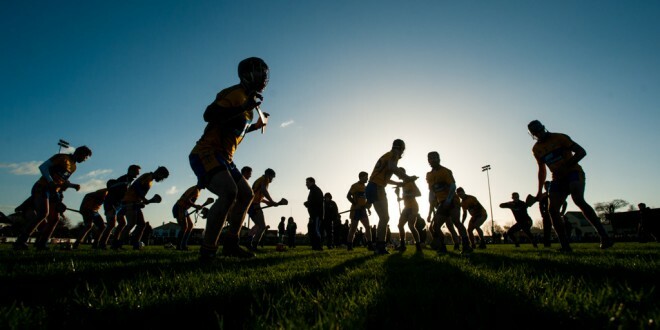 The Clare hurlers warm down after beating Tipperary in their Waterford Crystal Cup game at Sixmilebridge. Photograph by John Kelly. 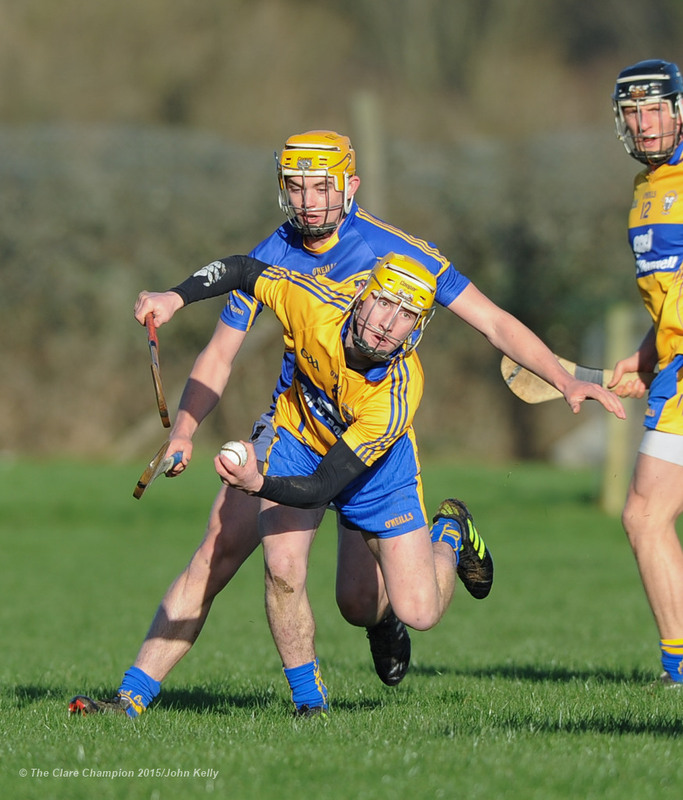 James Woodlock of Tipperary in action against Brendan Bugler of Clare during their Waterford Crystal Cup game at Sixmilebridge. Photograph by John Kelly. 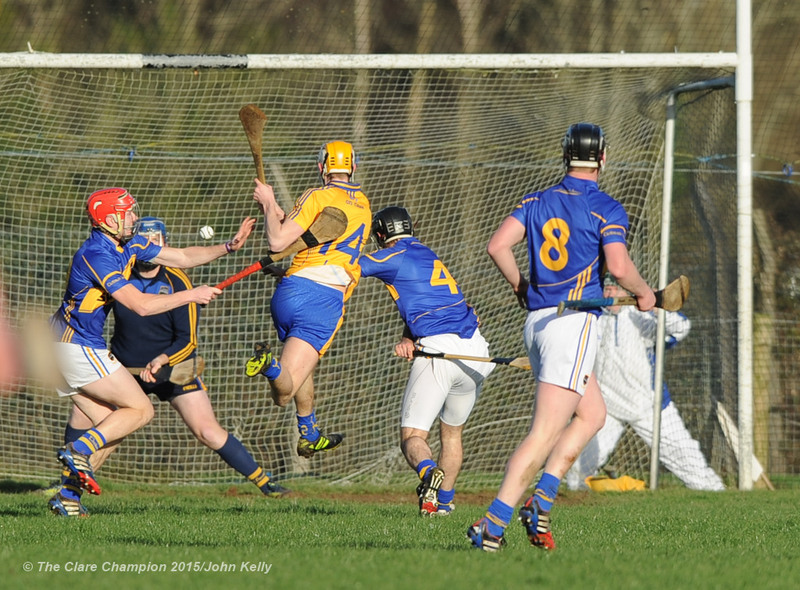 Clare’s top scorer in recent seasons, Colin Ryan, hit the winning point at Sixmilebridge to send Clare into the semi-final of the 2015 Waterford Crystal senior hurling tournament. The finalists for the past three years produced another close contest when they clashed at O’Garney Park before an attendance of 1,342 on a bright but cold afternoon. In winning, Clare dethroned the holders and set up a semi-final meeting with Cork in Cork next Sunday. It was a win Clare deserved but they nearly let it slip. Four points clear with five minutes remaining, the home side was under a lot of pressure in the closing minutes. Four unanswered points helped the visitors to draw level with a minute remaining before Ryan struck for the winning score. Playing with the aid of the breeze, Tipperary had the better of the early exchanges and raced into a two point lead after five minutes. As the game progressed, Clare took a grip on proceedings and by the mid point of the half had got in front, 0-4 to 0-3. 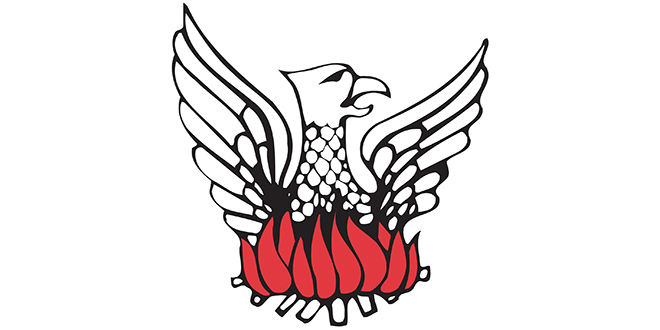 They held this one point advantage to the break when the score was 0-8 to 0-7. 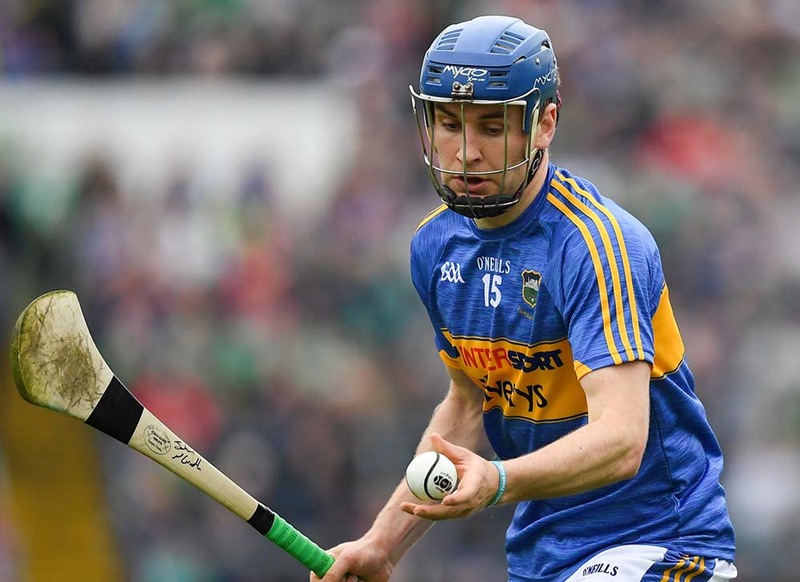 Each side added three points in the third quarter at which stage Tipperary introduced Kieran Bergin and Patrick Maher, followed two minutes later, by Clare changes which saw Colin Ryan and John Conlon join the action. They each added a further point to bring the score to 0-12 to 0-11 in Clare’s favour before the home side hit three in a row from Bobby Duggan, Colin Ryan and Paul Flanagan. This sparked a strong response from the visitors and with Patrick Maher and Shane McGrath prominent, they fought back to level with a minute remaining and everything pointed to extra time at this stage. 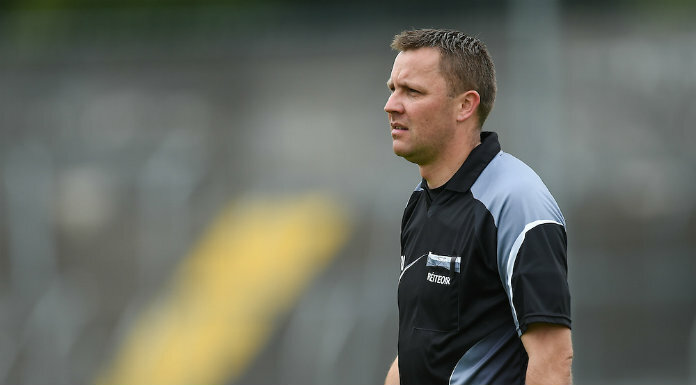 Clare bounced back and Colin Ryan fired over what proved to be the winning score to set up a semi-final date with Cork next week. The full back trio of Domhnaill O’Donovan,Cillian Duggan and Seadna Morey did well throughout while others to impress were Gearoid O’Connell at wing back and, especially, Cathal ‘tots’ O’Connell. For the visitors, Conor O’Mahony, Brendan and Denis Maher and substitutes Shane McGrath and Patrick Maher did well. 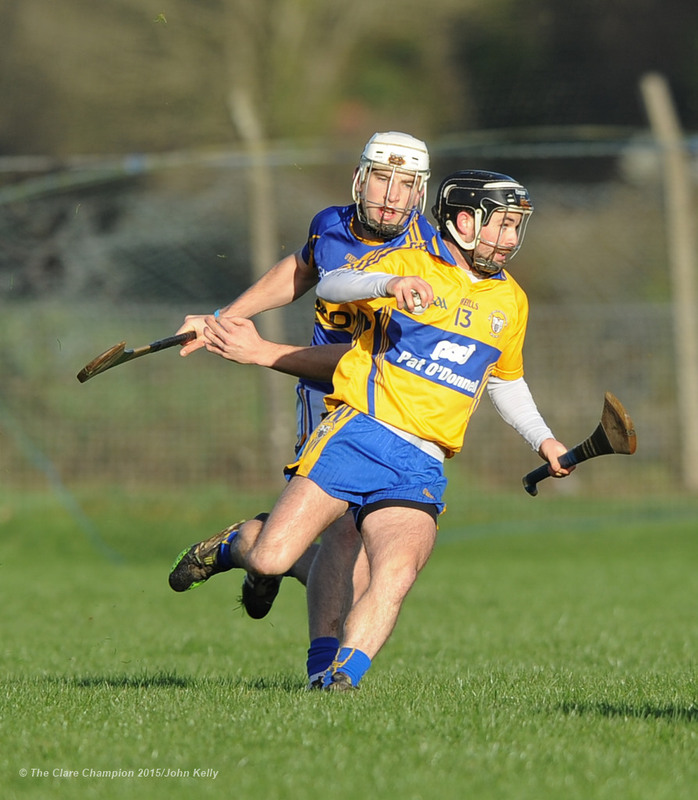 Cathal O Connell of Clare in action against Joe O Dwyer of Tipperary during their Waterford Crystal Cup game at Sixmilebridge. Photograph by John Kelly. 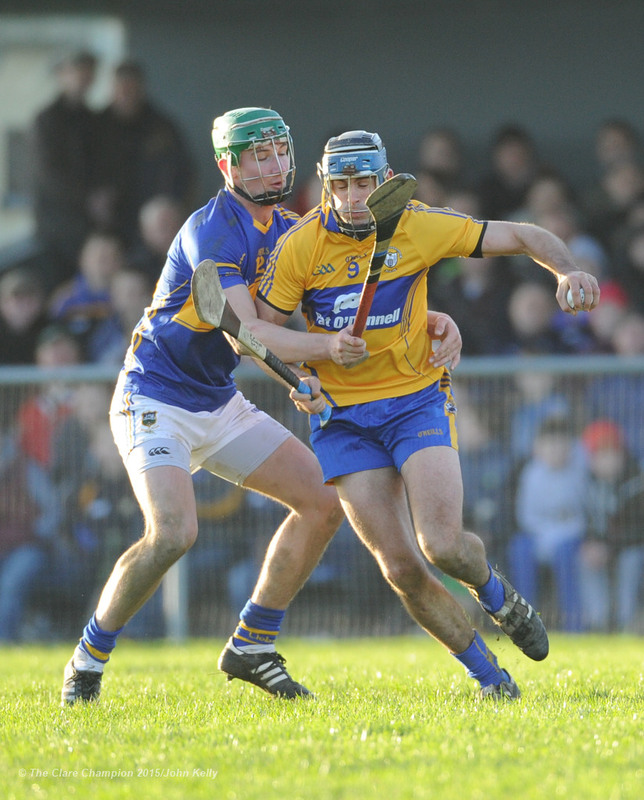 Colm Galvin of Clare in action against Ronan Maher of Tipperary during their Waterford Crystal Cup game at Sixmilebridge. Photograph by John Kelly. 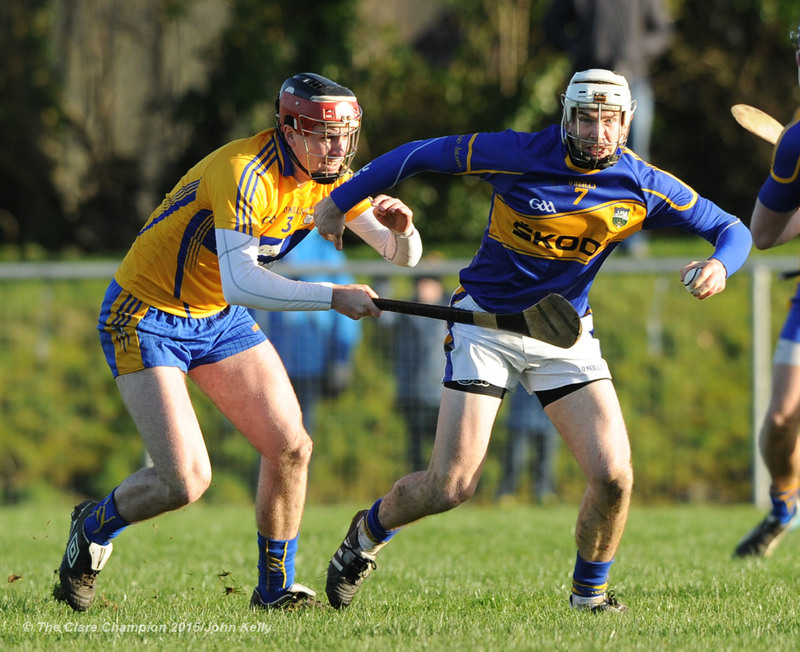 David O Halloran of Clare in action against Conor O Brien of Tipperary during their Waterford Crystal Cup game at Sixmilebridge. Photograph by John Kelly. 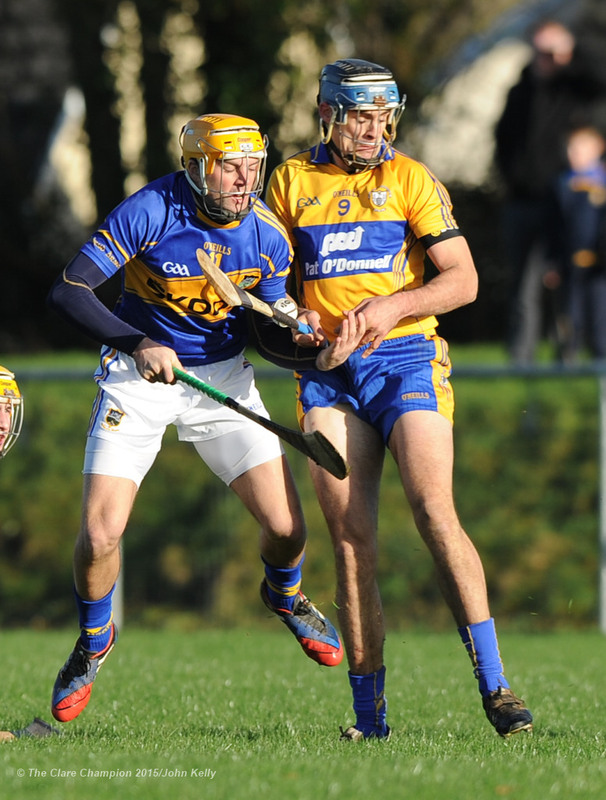 Cillian Duggan of Clare in action against Brendan Maher of Tipperary during their Waterford Crystal Cup game at Sixmilebridge. Photograph by John Kelly. 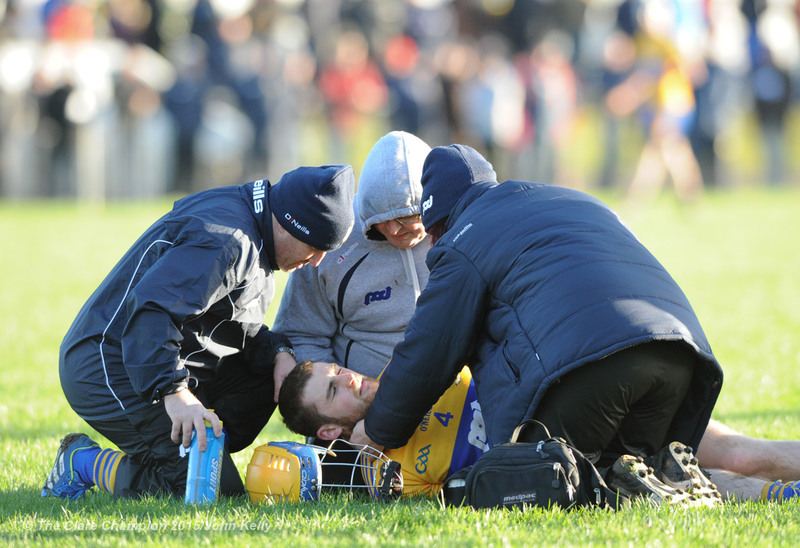 Seadna Morey of Clare is treated for an injury during their Waterford Crystal Cup game at Sixmilebridge. Photograph by John Kelly. 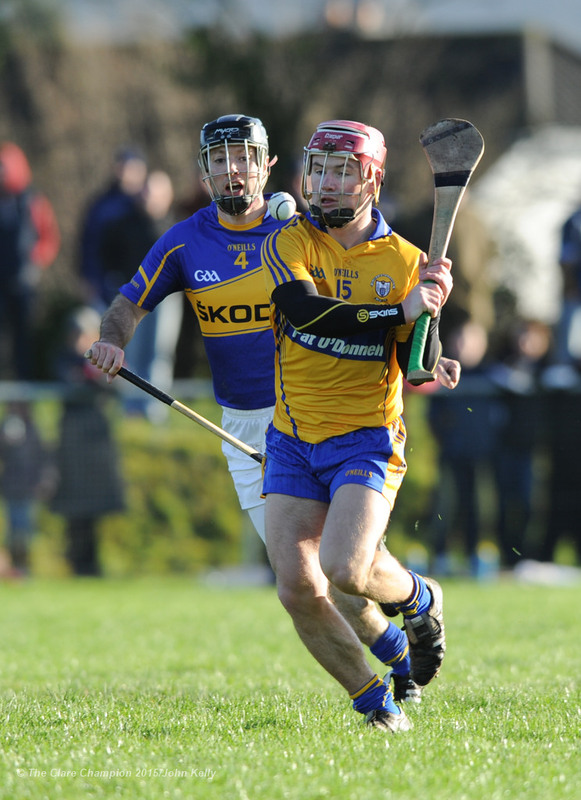 Brendan Bugler of Clare in action against Conor Kenny of Tipperary during their Waterford Crystal Cup game at Sixmilebridge. Photograph by John Kelly. 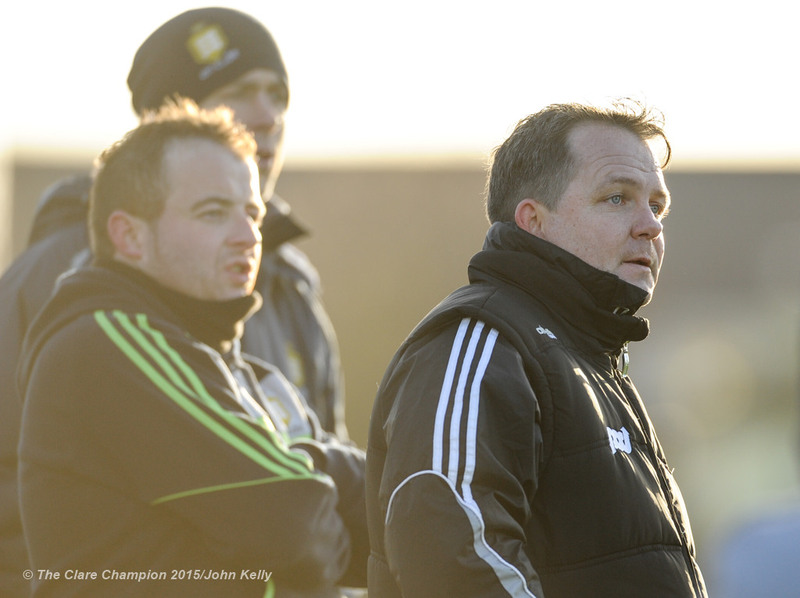 Clare manager Davy Fitzgerald on the sideline against Tipperary during their Waterford Crystal Cup game at Sixmilebridge. Photograph by John Kelly. 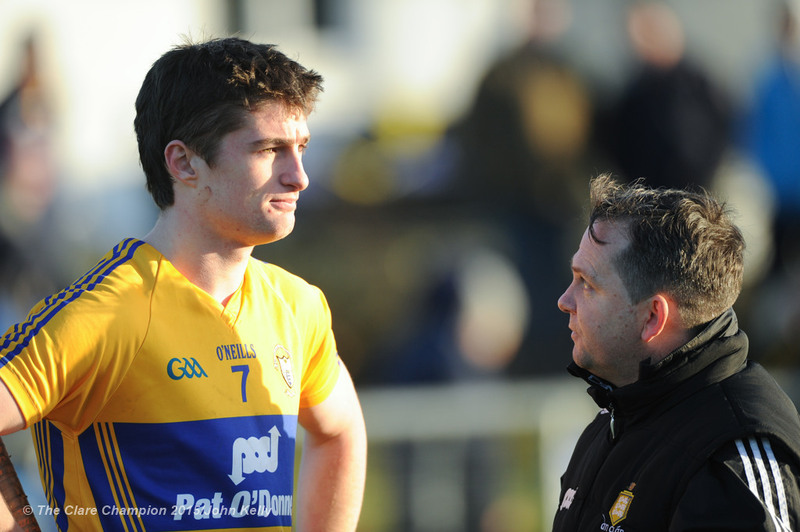 Clare manager Davy Fitzgerald has a word with player Conor Cleary following their Waterford Crystal Cup game at Sixmilebridge. Photograph by John Kelly.